Lynch was one of the biggest talking points of the 2018 season, though this was unfortunately due to his off-field contract discussions rather than his on-field form, which itself was somewhat mixed and then ended early by a PCL injury. It’s been two years since Lynch was at his best, booting 66 goals in an All-Australian season for Gold Coast in 2016, but even in a lean and interrupted 2018 he showed flashes of his best, such as his bag of eight against Carlton in Round 2. Leaving aside any misgivings over free agency and equalisation, it’s undeniable that one of the most exciting aspects of the 2019 season ahead will be getting to see what Lynch can do as the spearhead of a far more competitive side than he has ever previously had the chance to play in. All but one of our five judges included Lynch in their top 50. Few football stories better illustrate the value of patience than that of Trent Cotchin, who has – like the club he captains – gone almost in the blink of an eye from being somewhere between a punch line and a punching bag to being one of the AFL’s most respected footballers. From a purely statistical perspective he hasn’t quite again touched his mythic 2012 form (for which he was retroactively rewarded a Brownlow) in the years since, and in fact his average disposals and total goals (five) in 2018 were both the lowest he’s returned in eight seasons. 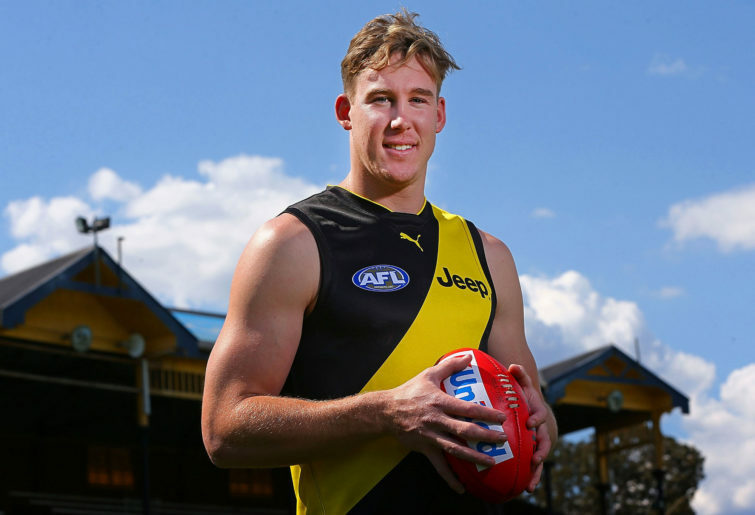 However there’s no doubt he’s been a key figure in the Richmond revolution and resurgence, and his on-field leadership a key factor in the Tigers’ ability to practice a gameplan that took them to the minor premiership in 2018. Two judges left Cotchin out of their top 50s entirely, but Adrian Polykandrites backed the Tigers skipper in rating him 15th overall. Gunston’s 2018 season was an impressive display of his versatility as a footballer. After being played in defence for a lot of the 2017 season, he returned to the forward line for a total of 51 goals – as good or comparable to his best previous work – while also being thrown further up the ground on a more regular basis. This saw him deliver the ball inside 50 a career-best 70 times for the year, while also recording disposal, rebound 50 and goal assist numbers comparable to his career-best. He was ultimately rewarded with 10 Brownlow votes, his most in a season to date, and All Australian selection. Gunston was overlooked for the top 50 by two of our five judges. My ranking of him at No.27 was the highest of the five. 2018 saw Hawkins recapture his best form in years, kicking 60 goals for the first time in five seasons. It was a feat he has only achieved twice before (in 2012 and 2014). Most impressively this came despite being called on to contribute in the ruck more than he has since 2011, averaging nearly two hit-outs per game. He also recorded career-high numbers in disposals (15.5 per game), marks (7.3 per game) and goal assists (24 in 2018). Four of five judges included Hawkins in their top fifty. If you’ll allow me to let my inner North Melbourne fan out here a little, Brown’s ranking as low as No.36 is a crime against humanity. I had him at No.23 overall, but being left out entirely by Ryan Buckland and Cam Rose (yes, I’m naming names) has dragged him down a fair bit. This despite the fact that Ben Brown is the only player in the AFL to have kicked 60 goals in each of the last two seasons – a time period across which his 124 goals is second only to Lance Franklin and equal with Jack Riewoldt (and in a side that has given far less quality service to key forwards than theirs have to them). Brown boasts great football intelligence, impressive ground-level work and running ability for a big man, and one of the most accurate set shots in the competition; but most importantly he has the frizzy red hair of an angel. Tom McDonald played the first 59 games of his AFL career without kicking a goal. I still remember noting the oddity of see him kick his first – in Round 23, 2014 against North Melbourne – and then the further oddity of seeing him kick his second, perhaps only two minutes later, at the end of virtually the exact same play as saw him get the first. Well, he has certainly come a long way since then – the man who took 60 AFL matches to kick a goal booted 53 of them from just 20 appearances last year, his start to the season delayed by injury but roaring to life when he arrived in Round 5. All five of our judges put McDonald in their top 50s and he is actually the first player to appear in the count down so far not to have been left out by at least one judge. The 30s appears to have become the home of key forwards, doesn’t it? Darling marks the end of a streak of five players who between them kicked 275 goals in season 2018, and although he’s at the top of that group, his 48 goals was the lowest of any. Why then is he rated so high? Perhaps it’s his dominant start to the season – Darling was arguably the form player of the competition early in 2018, and at no point was this more true than after his simply majestic six-goal demolition of Richmond in Round 9 (a match where he also took 15 marks). Injury then saw Darling miss the middle chunk of the year and he wasn’t quite the same thereafter. He had a mixed bag of a grand final – playing a stinker in the first half, only to be crucial in the third quarter, then nearly revisit his worst nightmare by spilling an easy mark in the final minute. Make of him what you will, but he is never boring. I didn’t have him in my personal top 50, while Jay Croucher had him at 19th overall. How many AFL players average 28 disposals in their first year in the competition, then decrease their disposal numbers on an almost perfectly linear progression every year after but somehow manage to become better and better players while doing so? 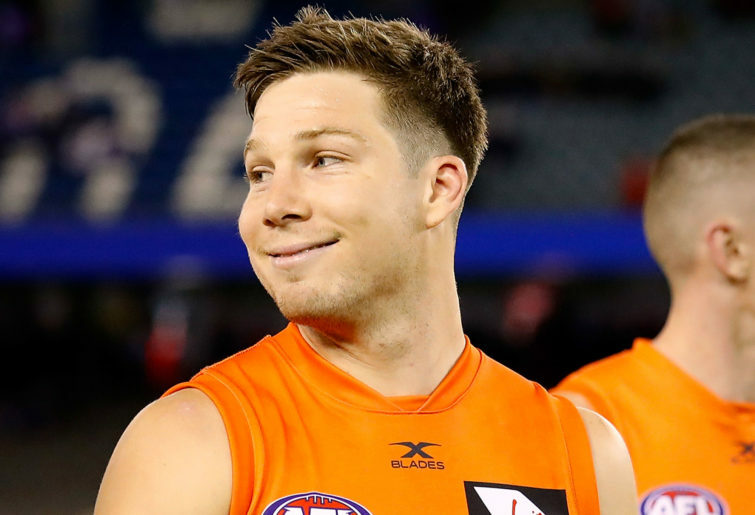 Toby Greene is unique to say the least. 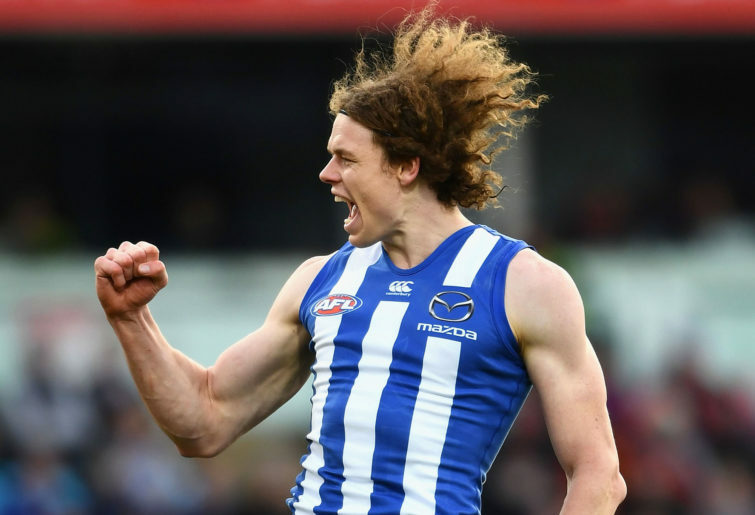 The AFL has plenty of big key forwards or speedy smalls, but players like Toby – a Leigh Matthews-esque 70s-era throwback if ever there was one – are hard to find in modern footy. Love him, hate him, or love to hate him – which ever path you go down, there’s no denying he sparks a passionate reaction. I’m a big fan of the jolly Greene and had him at No.19 in my rankings overall, while two of five judges left him out of the top 50 entirely. A crisis at halfback prompted Leon Cameron to move Whitfield into defence in season 2018, and it proved to be one of the smartest coaching moves of the season. Whitfield recorded career-high disposal numbers and was named in the All Australian team for the first time. There’s no doubting Whitfield’s 2018 form was praiseworthy, at the same time it shouldn’t come as too big of a surprise that a quality player recorded excellent stats when moved into what many regard as the easiest position in footy. Set to move back into the middle in 2019, I’ll be interested to see if we still rate him as highly in 12 months’ time. I had Whitfield at No.40 over all, while Ryan Buckland ranked him at 21, and one judge left him out of the top fifty entirely. Finally we come to just our second player in the count so far to be included in the top 50 by every judge, and it’s Geelong skipper Joel Selwood. Boasting three premiership medals, six All Australian guernseys (three as captain), four most-courageous awards, three club best and fairests, and as of last year becoming Geelong’s longest-serving captain in club history, Selwood has a football resume that any player would kill for. However one can’t help but notice that he has slipped a fair bit in the rankings since 2018, when we had him at 12th overall. 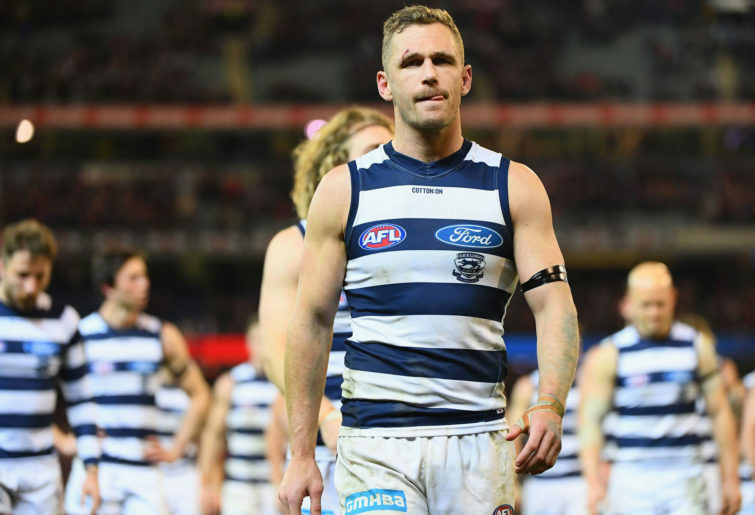 While his stats don’t show any significant drop-off, it’s hard to escape the feeling that Selwood – and Geelong’s midfield more generally – just wasn’t firing on all cylinders last year. At 30-years-old, is he entering the twilight of his career or just going through a temporary lull? Here’s hoping it’s the latter. Be sure to join us again tomorrow when Cam Rose will take us through the players ranked 30-21. Josh Elliott may be The Roar's Weekend Editor, but at heart he's just a rusted-on North Melbourne tragic with a penchant for pun headlines - and also abnormal alliteration, assuredly; assuming achievability. He once finished third in a hot chilli pie eating contest.